Sink yourself in the world of Hexaria- an ambient puzzle game by the creator of Picross Pushers, inspired by Bejeweld and classic Japanese puzzle games as Panel de Pon and Meteos, as well as mobile indie game Sumico. 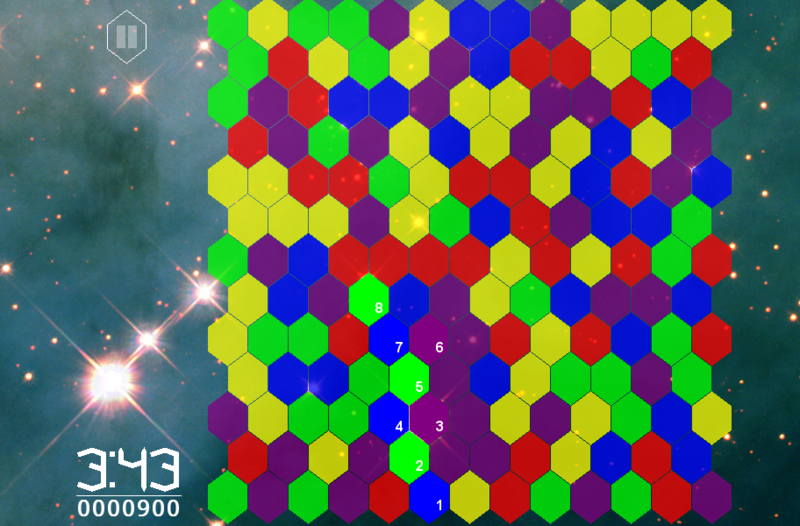 In Hexaria, you remove the gems from the field by including them into patterns, where the same order of gems appears multiple times in the same sequence. Race against time in the Normal, Hard and Expert difficulties, prevent an ever-growing tower from reaching too high in Arise, be limited in your movements and plan in advance in Tunnel, or fight against a rain of meteors stacking to the top in Downpour. Not feeling like a challenge? In the Zen mode, you can make patterns on your own pace, while gaining self respect with over thirty mantras. The game gains its ambient atmosphere with relaxing music, stunning backgrounds and minimal distractions. 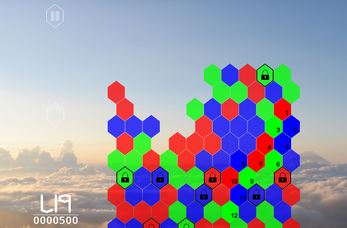 The game uses the GameJolt API to support online leaderboards for each mode, and gather interesting statistics. If you have a GameJolt account, you can log in to obtain trophies. 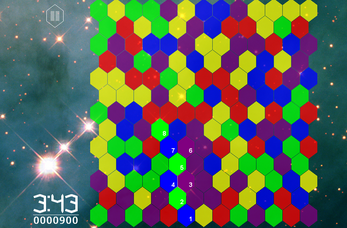 Also included is a feature that makes the game playable for colorblind people. Hexaria currently supports the English and Dutch language. If you've been referred here by the updater in-game, download the new version here. In the future, please use this new version of the game instead of the old one. The lastest version is V1020. Regarding Windows: The distribution is an .exe that can be run on Windows Vista or a newer version of Windows. Regarding Linux: After unzipping, eventually make it executable on the terminal (with command chmod +x runner) or simply through the file manager. It is a known issue that sending your score results into an error, all other GameJolt features should work as intended.